Posted on 25, October 2016 by EuropaWire PR Editors | This entry was posted in Automotive, Transportation & Logistics, Travel, United Kingdom and tagged high-speed luxury ferry, James A. Barker, Rolls-Royce, Tor-Gunnar Hovig. Bookmark the permalink. DERBY, 25-Oct-2016 — /EuropaWire/ — Rolls-Royce has won a contract to supply power and propulsion to New York’s newest and largest high-speed luxury ferry. The catamaran, operated by New Jersey based Seastreak, will carry up to 600 passengers between Monmouth County, New Jersey and Wall Street in less than 40 minutes at a top speed of 35 knots. Power comes from four high-speed MTU diesel engines type 12V 4000 M64 from Rolls-Royce. The engines will be EPA Tier III compliant and offer the lowest emissions on the market. The four engines will drive four Rolls-Royce Kamewa 63S4 waterjets, providing both reliability and redundancy. This new vessel, together with improvements to three Seastreak-class vessels, will require the investment of more than $24 million dollars. The new ferry will include the latest in luxury seating, panoramic windows, beautiful interior design featuring all-LED lighting, flat screen TVs viewable from any seat, multiple dedicated charging stations, Wi-Fi, and high-tech HVAC systems. The passenger seating arrangement will consist of 520 interior seats with an additional 206 exterior seats located on the second and third deck. To be known as the Commodore class, the craft is being designed by Incat-Crowther of Sydney, Australia, and will be built at Gulf Craft, La. It is expected to be delivered in 2017. When delivered it will be the highest passenger capacity USCG K-class high-speed ferry in the United States. In addition, three Seastreak class vessels (Highlands, New York and New Jersey) will be upgraded and repowered with Rolls-Royce equipment over the next several years. This will start with the Seastreak New York this winter. Seastreak plans to upgrade and repower one vessel per year each winter. All three vessels will be refitted with modern Tier 3 MTU 16V 4000 M64 engines drivingRolls-Royce waterjets. This new engine and jet configuration will not only be cleaner burning, and better for the environment, but will also remove approximately 20 tons of weight, helping greatly with speed, and efficiency. The upgrades will also involve new custom seating, windows, and carpeting, as well as other mechanical upgrades. New Jersey based Seastreak is the premier fast passenger ferry service in the New York metropolitan area. We proudly offer highspeed catamaran ferry services to points in Manhattan, Central New Jersey, Nantucket, Martha’s Vineyard, and more with a fleet of robust vessels. 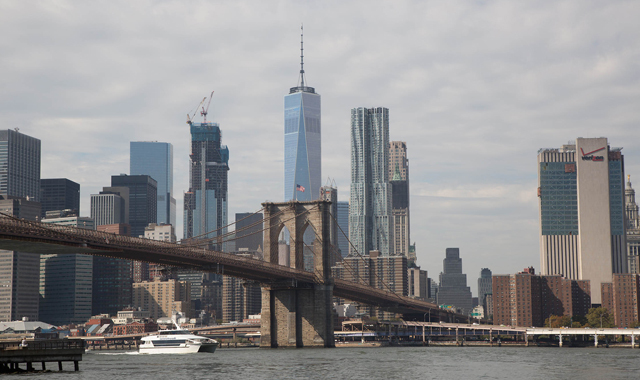 In addition to commuter services to and from Manhattan and New Jersey, Seastreak offers an array of entertaining cruises and tours, daytrips, and getaways year round. Seastreak also operates seasonal ferry services between New Bedford, Massachusetts, Martha’s Vineyard and Nantucket.